A lover of the arts. Even in his early years, there has always been a romantic inspiration from the arts for this creator. From saxophone to the complexity of hand percussion, Gato projects a world of passion to whatever art he touches. And a creator he most definitely is, whether it is photography, sound design, or even interior design, he created these ventures with his sure will from his inspiration and dedication. In December of 1996, Gato was created as a new art form, a new performer. (The nickname came from early Rave days in '93 as he was a recognized dancer in south Florida.) As a performer, he has been working with a long list of DJ's and electronic artists since the '90s. Including the drum added a very special blend of contemporary and traditional rhythms to every performance with modern dance music, GatoDrum was born. A free-form percussionist and hand drummer specializing in 'Spotlight' & 'accompaniment' with DJ/Electronic artists. An exciting marriage of Afro-Cuban; Afro-Brazilian; Jazz & Afro-funk beats and patterns in live performance with a DJ or electronic music act. 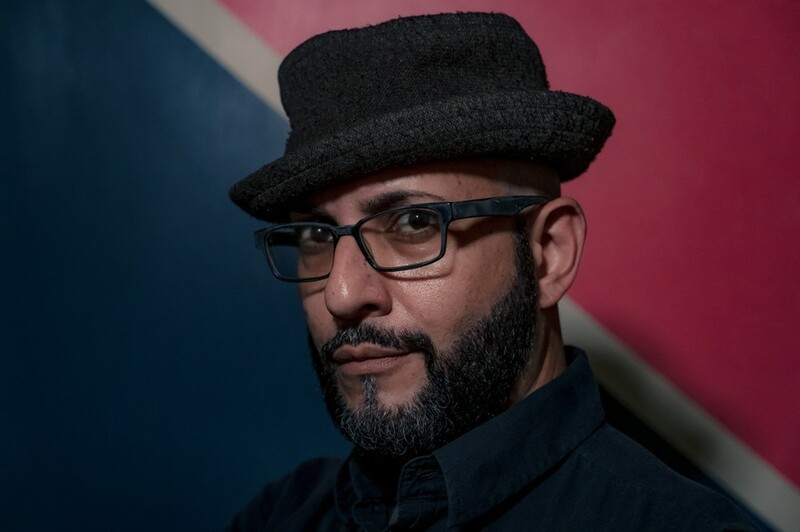 Moved to Los Angeles in 2002, Gato started uniting forces with eclectic families of LA, "JazzMoov"/ "STEADY"/ "Shady Bunch" (TreatsnBeats)/ "Al Jackson W/Trumpeter: Josh Kozlow" / "NITESHIFT" / FTWN (For Those Who Know) providing his special blend of passion with eclectic sounds over warm, tribal, deep, and ethnic rare grooves on the drum. LA always has an ear out for GatoDrum. In 2004, he started working at Native Instruments as lead Tech Support agent and IT Administrator. Now Product Specialist, a trainer for staff and VIP artist all over North America. Not too long after, he became a Maschine Expert/ Native Instruments Instructor at Point Blank Music School (Los Angeles). One can only imagine the resource and creativity to spawn from his knowledge alone. A unique experience for both student and instructor. And continues to provide knowledge as tutor privately and public speaker in open forums. Within that time, he was able to be an advisory board member for 3 non-profits in LA. He personally delivered 3000 bags of help to the homeless, Be a mentor for the at-risk youth, and train to be a life coach. Now he brings his skills and creativity to a new inspiring level. Bringing the elements mentioned above, Gato now introduces GatoDeLux. A new avant-garde, experimental sound design project with a new focus on synthesis with a pinch of organic, modular, sampled elements. Fused with unique controllers and loopy rhythms created on the fly with hardware synths, drum machines, and effects played live with no DAW and in an improvisational format. Over 15 different pieces of gear live, not to mention when the digital drums are added. And in 2019, the progress continues with new ventures. GatoDuSon is his latest creation. An impressive space for sound and synthesis. An acoustically pampered room with knobs and button 'for days'! Vintage synths along with the latest gear, a full collection of Novation's NOVA engine synths. Drum machines, microphones, Unique MIDI controllers and electronic wind Instruments (EWI) for endless creation. The analog family to include a MOOG Sub37, Dave Smith's PRO2, and Roland's legendary Juno-106! Perfect match to multiple RME interfaces for a perfectly transparent sound. A studio with sound design in mind.